Famous Spanish cyclist who won the Tour de France in 1988. He raced for Reynolds/Banesto, Seat-Orbea and PDM during his career. He was a sickly child and spent several months in bed suffering from Hepatitis. He worked as a sports commentator for Televisión Española during important cycling events after he retired. He has two sisters, Marisa and Victoria, and one brother, Julio. 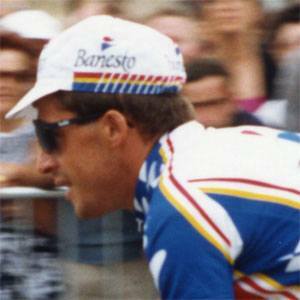 He competed in the 1989 Tour de France against Greg LeMond, who won the event.